The South Branch of the Chicago River’s industrial past left a blueprint for the river’s future. In 2012, the City of Chicago decommissioned two coal-fired power plants—Fisk and Crawford—in the Pilsen and Little Village neighborhoods, adjacent to the South Branch, Bubbly Creek, and Chicago Sanitary and Ship Canal. 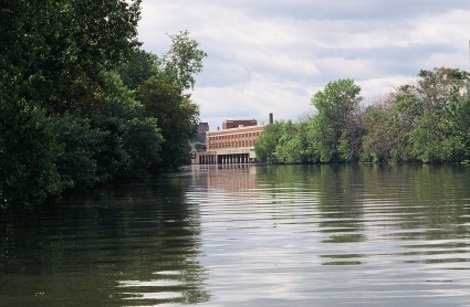 This closure was brought about through grass-roots activism from local environmental groups that saw the opportunity to create a river corridor that emphasizes environmental protection and healthy neighborhoods long before the plants were closed. The Racine Avenue Pumping Station on the shores of Bubbly Creek.